Tom, who’s widely regarded as one of Britain’s most exciting new singer-songwriter talents, will perform in Studio 3, a location synonymous with legendary performances from the likes of The Beatles, Pink Floyd and Coldplay. The show will take place on 25 March, just a few weeks after the 22 year-old joined the list of acts including Adele, Jessie J and Florence + the Machine who have won the Critic’s Choice Brit Award. Absolute Radio’s Head of Music James Curran is convinced that Tom has the potential to be one of Britain’s biggest selling artists and said, “Artists such as Paul Weller, Stereophonics and Biffy Clyro have performed for us at Abbey Road and the moment we heard Tom’s music we knew this was something special. He’s following in the footsteps of the greats and I’m certain that his is a name we will be discussing regularly at Absolute Radio’s playlist meetings”. 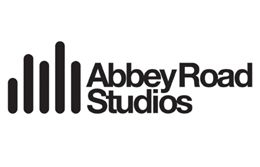 The performance will be the fourth in the series of Abbey Road Studios Acoustic Sessions with Absolute Radio and will feature a number of tracks from Tom’s debut album Long Way Down which is released on 15 April on Columbia Records.